RALEIGH, N.C. (Jan. 17, 2019) – Concord Hospitality Enterprises Company, a leading hospitality manager and developer, is pleased to announce that Dean Wendel has been promoted to Vice President of Food and Beverage. Wendel is responsible for creating strategies and overseeing procurement, brand compliance and financial performance of the hospitality company’s growing food and beverage division and will continue to lead development and implementation of bar and restaurant concepts across Concord’s portfolio of more than 100 properties. With more than 35 years of experience in hotels and resorts across the United States and the Caribbean, Wendel is known in the industry for his proficiency in hotel management and operations. 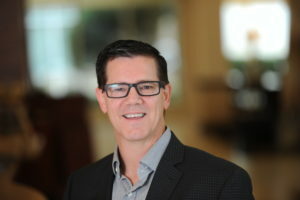 He joined Concord in 2008 and has held several leadership positions with major hotel companies including Ritz Carlton, Rock Resorts, Hilton and Marriott as well as several private resorts. Currently, he sits on food and beverage advisory boards for Marriott Full Service Hotels, Cambria Suites and AC Hotels and on the American Hotel & Lodging Association’s Food & Beverage Committee. Wendel apprenticed under Master Chef Anton Flory and is a graduate of Johnson and Wales University in Providence, R.I.